AJ Barnes Plumbing & Heating LTD > Company Blog > Central Heating > Why Should I use A Worcester Accredited Installer? Why Should I use A Worcester Accredited Installer? Do I use a Worcester Accredited Installer when I get a new boiler installed, is it really worth it? The simple answer is yes. There are numerous reasons why you should use a Worcester Accredited Installer for your boiler installation, repair or replacement. AJ Barnes Plumbing & Heating LTD is one of the longest accredited installers in Plymouth, Devon for Worcester Bosch products. The first reason why you should use a Worcester Accredited Installer is that accredited installers are professional heating engineers. Worcester do not just let any plumber become an accredited installer, engineers that want to become a Worcester accredited installer have to be fully vetted by Worcester Bosch and undertake specialist training at their headquarters. If you do not use an accredited installer for your central heating installation in Plymouth, you will be using a much less experienced heating engineer whose business may not be around in 5 years to sort the fault caused upon installation. The second reason why you should use a Worcester Accredited Installer is extended warranty. All Worcester Bosch boilers supplied and fitted by AJ Barnes Plumbing & Heating LTD come with a FULL Worcester Bosch 10-year warranty as standard giving you peace of mind that your boiler is protected for the next 10 years. Other heating engineers who are not accredited installers may offer a 10-year warranty but this may not be with Worcester Bosch and therefore your boiler will not be fully protected if something goes wrong with your boiler during your warranty period. Worcester Accredited Installers offer a 10-year warranty as standard for all Worcester Bosch boiler installations, non-accredited installers may charge you for the privilege. Another reason why you should use a Worcester Accredited installer as your heating engineer is that accredited installers have been checked to ensure that they have all the necessary certification and training to work on heating and gas appliances in Plymouth. 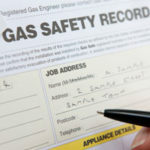 Giving you peace of mind knowing that your boiler replacement has been installed safely by a Plymouth heating engineer. The final reason why you should use a Worcester Accredited installer to install and maintain Worcester boilers, solar water heating and heat pumps are the tips and advice that an accredited heating engineer can offer you. Our Plymouth based Worcester Accredited Installers (WAIs) have been installing Worcester Bosch boilers for over 30 years and can often advise you on how to get the best out of your boiler in terms of efficiency and cost. AJ Barnes Plumbing and Heating LTD is a platinum Worcester Accredited Installer, based in Plymouth and covering households across Devon and Cornwall, you can see if we cover your area by checking our coverage area map, contact us for a free no-obligation home visit quotation with one of our reliable heating engineers. If we do not cover your area, you can find your local WAIs by visiting the Worcester Bosch website by clicking here.